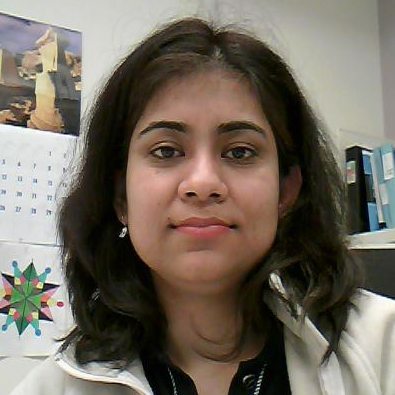 Sunita Ghosh received her master’s degree in Mathematics from Kanpur University, India followed by her PhD in Biostatistics from University of Saskatchewan in 2007. Prior to joining Alberta Health Services-Cancer Control as a Research Scientist, she was working as a Biostatistician in the Department of Agriculture Medicine, University of Saskatchewan. She joined AHS in 2006 and joined the Department of Medical Oncology as an Assisstant Clinical Professor in 2009. Her research interests are in the area of Cancer Biostatistics, longitudinal data analysis, model prognostication, survival analysis, quality of life data analysis and genetic analysis. Apart from her collaborative research work at AHS and University of Alberta, she also serves as a elected member of Statistical Society of Canada Accreditation committee, Research Ethics board member of Alberta Cancer Research Ethics Committee (ACREC) and also sits on the panel of Investigator Initiated Clinical Trial research funding committee. Standeven L, Hiller JP, Mulder K, Zhu G, Ghosh S and Spratlin JL (2012). Impact of a dedicated cancer center surveillance program on guideline adherence for patients with stage II and III colorectal Cancer. Clinical Colorectal Cancer (In press). Dechaphunkul A, Phukaoloun M, Kanjanapradit K, Graham K, Ghosh S, Santos C and Mackey JR (2012). Prognostic significance of tissue inhibitor of metallorpteinase-1 in breast cancer. International Journal of Breast Cancer (Online/In Press). Prado CM, Bekaii-Saab T, Doyle LA, Shrestha S, Ghosh S, Baracos VE, Sawyer MB. Skeletal muscle anabolism is a side effect of therapy with the MEK inhibitor – selemetunib in patients with cholangiocarcinoma. The British Journal of Cancer.2012. Apr 17. (epub ahead of print). Pervez N, Krauze AV, Yee D, Parliament M, Mihai A, Ghosh S, Joseph K, Murtha A, Amanie J, Kamal M and Pearcey R (2012). Quality-of-life outcomes in high-risk prostate cancer patients treated with helical tomotherapy in a hypofractionated radiation schedule with long-term androgen suppression. Current Oncology Vol. 19(3):e201-e210. Fairchild A, Ghosh S and Baker J (2012). Patterns of referral and knowledge of palliative radiotherapy in Alberta. Canadian Family Physician Vol. 58(2): 113-122. Ghosh S., McLaughlin J.R., Spinelli J.J., Dosman J.A., McDuffie H.H. and Pahwa P. (2011). Multiple Myeloma and Occupational exposures: A Population based case-control study. Journal of Occupational and Environmental Medicine (In press). Shakam A, Scrimger R, Liu D, Mohamed M, Parliament M, Field GC, El-Gayed A, Cadman P, Jha N, Warkentin H, Skarsgard D, Zhu Q, Ghosh S (2011). Dose-volume analysis of locoregional recurrences in head and neck IMRT, as determined by deformable registration: a prospective multi-institutional trial. Radiother Oncol. Vol;99(2):101-7. Robert P. Evans, Greg Dueck, Roger Sidhu, Sunita Ghosh, Inka Toman, Jonathan Loree, Nizar Bahlis, Alexander C. Klimowicz, Joyce Fung, Michelle Jung, Raymond Lai, Linda M. Pilarski, Andrew R. Belch, Tony Reiman (2011). Expression, adverse prognostic significance and therapeutic small molecule inhibition of Polo-like kinase 1 in multiple myeloma. Leukemia Research (In Press). Gioulbasanis I, Georgoulias P, Vlachostergios PJ, Baracos V, Ghosh S, Giannousi Z, Papandreou CN, Mavroudis D, Georgoulias V. (2011) Mini Nutritional Assessment (MNA) and biochemical markers of cachexia in metastatic lung cancer patients: Interrelations and associations with prognosis Lung Cancer. [Epub ahead of print]. Fairchild A, Baker J, Ghosh S (2010). Barriers to referral for palliative radiotherapy: A survey of practitioners referring to a single Canadian tertiary cancer centre. Canadian Family Physician (In press). Lisa Martin, Sharon Watanabe, Robin Fainsinger, Francis Lau, Sunita Ghosh, Hue Quan, Marlis Atkins, Konrad Fassbender, G. Michael Downing and Vickie Baracos (2010). Prognostic Factors in Patients with Advanced Cancer: Use of the Patient-Generated Subjective Global Assessment in Survival Prediction. Journal of Clinical Oncology. Vol.28: 4376-4383. Hanan Armanious, Jean Deschenes, Pascal Gelebart, Sunita Ghosh, John Mackey, Raymond Lai (2010). Clinical and biological significance of GSK-3β inactivation in breast cancer—an immunohistochemical study. Human Pathology Vol 41(12):1657-1663. Zsolt Gabos, John Thoms, Sunita Ghosh, John Hanson, Jean Deschenes, Siham Sabri and Bassam Abdulkarim (2010). The association between biological subtype and locoregional recurrence in newly diagnosed breast cancer. Breast Cancer Res Treat Vol 124:187–194. R.P.Skomro, J.Gjevre, J.Reid , B.McNab, Sunita Ghosh, R.Jokic, H.A.Ward, D.Cotton (2010). Outcomes of home – based diagnosis and treatment of Obstructive Sleep Apnea. Chest Vol. 138 ( 2): 257-263. Edith Pituskin, Alysa Fairchild, Jennifer Dutka, Lori Gagnon, Amy Driga, Patty Tachynski, Jo-Ann Borschneck, Sunita Ghosh (2010). Multidisciplinary Team Contributions Within a Dedicated Outpatient Palliative Radiotherapy Clinic: A Prospective Descriptive Study. International Journal of Radiation Oncology, Biology and Physics Vol. 78(2): 527–532. Ghosh S, Pahwa P, Rennie DC and Janzen B (2009) Gender related interactive effect of smoking and rural/urban living on asthma prevalence: a longitudinal Canadian NPHS Study. Journal of Asthma. 46(10):988-994. Mark Warren, Peter M. Venner, Scott North, Tina Cheng, Chris Venner, Sunita Ghosh, Allison A. Venner, and Daygen Finch (2009). A population-based study examining the effect of tyrosine kinase inhibitors on survival in metastatic renal cell carcinoma in Alberta and the role of nephrectomy prior to treatment Can Urol Assoc J. 3(4): 281–289. Fairchild A, Barnes E, Ghosh S, Ben-Josef E, Roos D, Hartsell W, Holt T, Wu J, Janjan N, Chow E (2009). International patterns of practice in palliative radiotherapy for painful bone metastases: Evidence-based practice? Int J Radiation Oncology Biol Phys 75(5): 1501-1510. Quon H, Ghosh S, Roa W. Changes in serial magnetic resonance spectroscopy (2009). Treatment outcomes in high-grade gliomas during and after postoperative radiotherapy. Int J Radiat Oncol Bio Phys, (in press). Tsang RY, Santos C, Ghosh S, Dabbagh L, King K, Cass CE, Reiman T, Lai R, Mackey JR (2008). Immunohistochemistry for human Concentrative Nucleoside Transporter 3 protein predicts fludarabine sensitivity in chronic lymphocytic leukemia. Journal of Modern Pathology 21(11): 1387-1393. Jha N, Seikaly H, Harris J, Williams D, Sultanum K, Hier M, Ghosh S, Black M, Butler J, Sutherland D, Kerr Pand Barnaby P (2008). Phase III randomized study comparing oral Pilocarpine vs. submandibular salivary gland transfer protocol for the management of radiation induced xerostomia. Head and Neck 31(2):234-243. Joseph KJ, Al-Mandhari Z, Pervez N, Parliament M, Wu J, Ghosh S, Tai P, Lian JD and Levin W. “Reirradiation following radical radiation therapy: A survey of patterns of practice among Canadian radiation oncologists”. Int J Radiat Oncol Biol Phys 2008; 72(5): 1523-1529. Fairchild A., Goh P., Sinclair E., Barnes, E.A., Ghosh S., Danjoux C., Barbera L., Tsao M., Chow E. Has the Pattern of Practice in the Prescription of Radiotherapy for the Palliation of Thoracic Symptoms Changed Between 1999 and 2006 at the Rapid Response Radiotherapy Program? Int J Radiat Oncol Biol Phys 2008; 70(3):693-700.